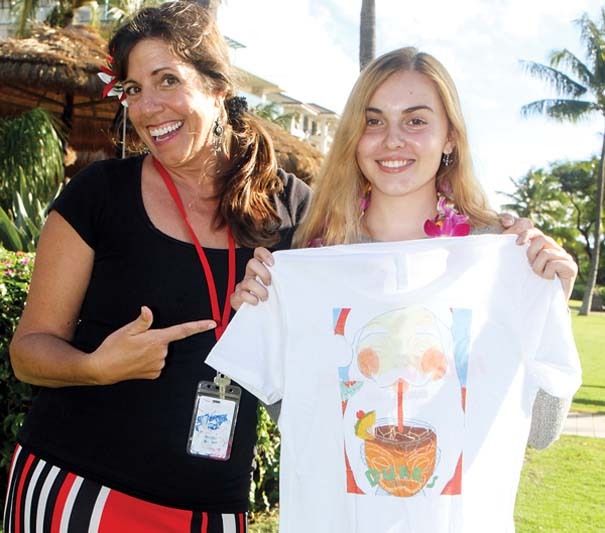 2017 Duke’s Beach House winner Kieran Groft (right) is shown with Kristina Mekdeci, a Lahainaluna High School art teacher. Duke’s Beach House announced that the seventh annual Duke’s Beach House Holiday T-Shirt Design Contest is underway. This year’s contest offers the chance for artists’ work to be featured on a limited edition Duke’s T-shirt design and win prizes. The Duke’s Beach House winner will have his or her art featured on Duke’s 2018 Holiday T-shirts and receive a $300 cash prize. A Fan Favorite will also be selected on Duke’s Beach House Facebook page; the winner will receive a $150 cash prize. Each of the finalists will receive a $50 restaurant voucher. 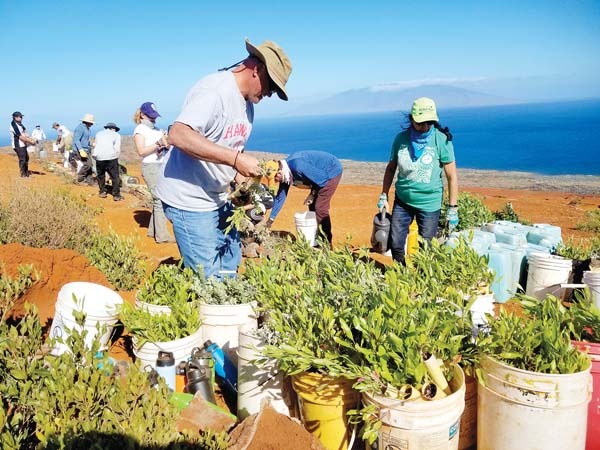 Now through Sept. 14, contestants can enter the Holiday T-Shirt Design Contest by mailing their designs along with the completed entry form to: Duke’s Beach House, 130 Kai Malina Parkway, Lahaina 96761. Entries may be submitted as hard copies or as digital files on discs. Duke’s is seeking designs for men’s, women’s and unisex shirts. The design should incorporate Duke’s Beach House and the holiday season on Maui. The finalists’ designs will be posted at www.facebook.com/DukesBeachHouse on Sept. 24. Facebook fans of Duke’s Beach House Maui will have a chance to vote for their favorite designs until Sept. 28. The winners of both the Fan Favorite and Duke’s Beach House Favorite will be posted on Oct. 15 at www.dukesmaui.com and on the Facebook page. For more information, including all contest rules and the entry form, visit www.dukesmaui.com/t-shirt-contest.